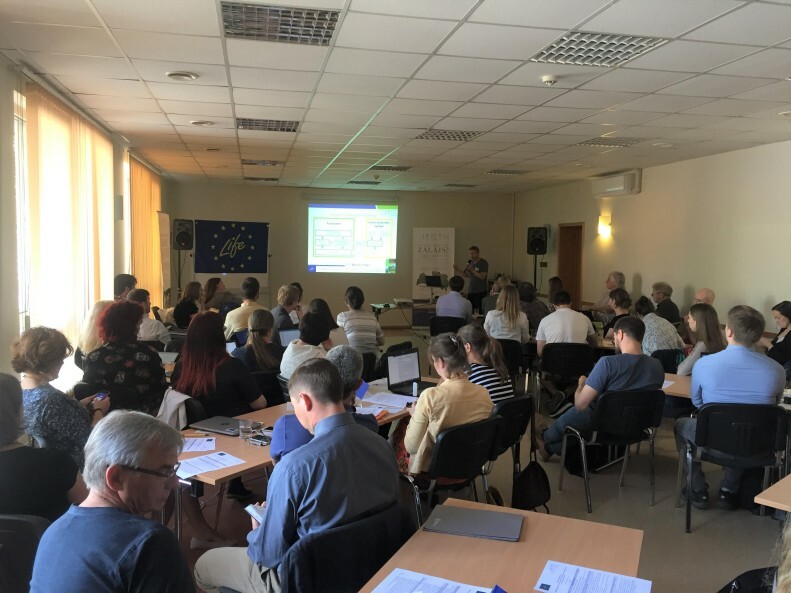 On May 16-18, 2018 LIFE Viva Grass project held a very successful seminar “Integrating ecosystem service concept into spatial planning – for sustainable land-use in grasslands and beyond”, Sigulda, Latvia. 2 sessions were held on May 16, 2018 – “Spatial information obtained through ES mapping and assessment as input land-use planning and decision making” and “Contribution of the ES concept in development of planning solutions” where lectors shared their experience on mapping of ecosystems, their conditions and services. 3 sessions were held on May 17: “Potentials and limitations of the existing spatial planning system for integration of the ES concept”; “Stakeholder engagement for building knowledge on ES supply& demand and prioritisation of the land-use alternatives” and “Integrated approach to ES assessment and up-taking of the ES concept into policy and decision-making process” concluded with the panel discussion: towards integrated, ecosystem service-based approach to land -use planning and decision-making. On May 17 study visit to the LIFE Viva Grass project demo areas was held. Participants had an opportunity to see the results of landscape planning and grassland restoration in Cēsis municipality and grasslands restoration & sustainable management in farm “Šovites” in Vecpiebalga municipality. On May 18 the tour to grassland restoration sites in the Gauja river valley near Sigulda was held. Pictures from the seminar and study visits: HERE.